The Bandurria is the smallest and highest pitched member in the laud family. Mandolin-like, this tear dropped-shaped cittern has a very short and wide neck. Over the past 200 years, the Bandurria's tunings and construction have evolved in the Spanish colonized regions of the world. 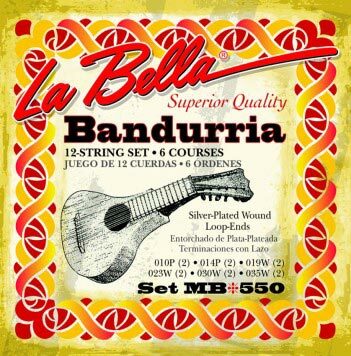 Today, it has twelve steel strings in six unison courses and is popular in Spain, South America and the Philippines.